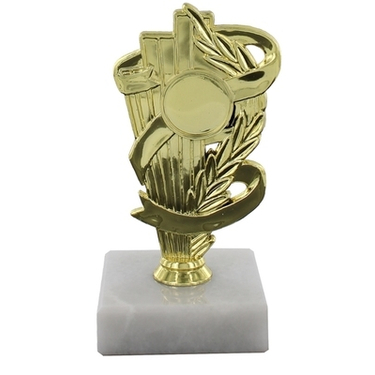 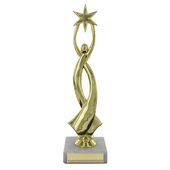 Gold Fan & Ribbon Trophy supported on a white marble effect base. 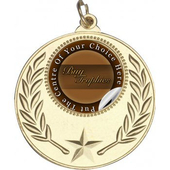 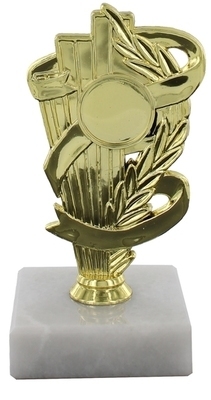 Excellent choice award for any event, this trophy has a blue tube for the larger sizes increasing the height of the trophy. 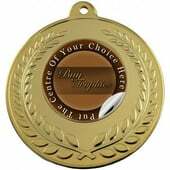 The larger sizes also have the option of adding a second centre sticker.